One of the most revered names in European gambling is taking another major step in the U.S.
William Hill, long a staple of U.K. high streets and the nation’s gaming scene, continued its U.S. expansion by announcing partnerships with 12 more casinos. That includes 11 in Mississippi, which took its first sports bet earlier this week, as well as West Virginia, which is set to take bets in the coming weeks. In a press release the company also revealed sports betting negotiations in an additional 14 states. Founded in 1934, William Hill didn’t expand to the U.S. until 2012 when it opened sportsbooks and mobile operations in Nevada, which at the time was the only state with legal sports betting. The company quickly became a leader in Las Vegas and the largest sports betting company in the nation. It now operates more than 100 sports and race books in Nevada alone. William Hill also was on the forefront of legalized gaming expansions in Delaware, where it runs risk management statewide, and New Jersey, where it operates out of Monmouth Park Racetrack and Ocean Resort Casino. Delaware and New Jersey brought in more than $1 million and $16.4 million in revenue, respectively, within the first few weeks of legalized sports betting. U.S. CEO Joe Asher said in the release he was excited about his company’s growth – and the potential for the future. Already one of the nation’s top casino gaming states, Mississippi quickly moved to legalize sports betting in the wake of the Supreme Court decision to strike down the federal ban. After the regulatory review process ended, the Magnolia State took it first sports bet Aug. 1 at MGM’s Beau Rivage and Gold Strike casinos. Boyd Gaming’s IP Casino in Biloxi and Sam’s Town in Tunica followed shortly after. Up to two dozen more Mississippi casinos are set to follow, including Native American-owned casinos Bok Home and Pearl River Resort. In its press release, William Hill said it will partner with six more, not-yet-announced casinos. All facilities intended to be licensed and taking bets before Sept 1. – and the start of the 2018 NFL season. William Hill was involved in the first four states to take legal sports bets. It will also be a part of the next two. All five West Virginia casinos are poised to take bets in the coming weeks. 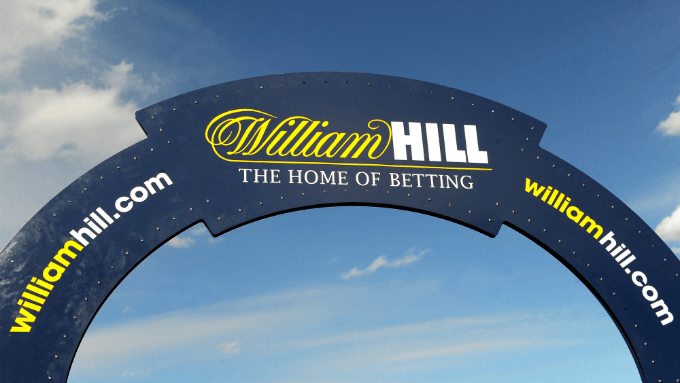 At least one will partner with William Hill for retail and online/mobile wagering. The company said it will announce its Mountain State affiliate at a later date. Rhode Island will become the sixth state to take bets Oct. 1. William Hill partnered with IGT, the state’s lottery provider and the lone company to apply for sports betting licenses at Rhode Island’s two casinos. Assuming IGT gets the contract, William Hill will supply operation knowledge, risk management support and trading data for sports betting. William Hill’s announcement is the latest indicator of the market’s potential for these states – and a dozen more. The company didn’t reveal which 14 states it negotiated with, but there are at least that many that have introduced sports gambling legalization bills or are planning to do so in their respective 2019 legislative sessions. Industry experts predict up to 20 or more states could take bets in the next couple of years. William Hill is sure to be a major factor in most of, if not all, the states that do so.